I. Name, purpose, address and legal representation. 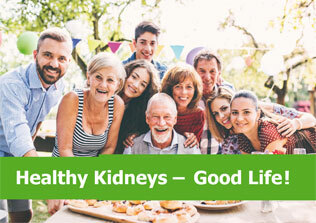 – European Dialysis and Transplant Association", formerly European Dialysis and Transplant Association - European Renal Association. 2. The objects of the Association are the advancement of medical science by promoting fundamental and clinical advances in the field of nephrology, dialysis, renal transplantation, hypertension, and related subjects. 3. The Association will perform its activities in several offices, with the head office being in the United Kingdom, where it is registered as a Charity. 4. The Association shall be represented vis-à-vis third parties by its President, or by the Secretary/Treasurer, or by the Chair of Administrative Offices accompanied by any other member of the Council. In representing the Association, the above persons shall act in compliance with this Constitution as well as with any relevant resolution adopted by the General Assembly and/or by the Council. II. Membership of the Association. 1. Members of the Association are Honorary members, Senior members, Full members, Associate members and Congress members. a) Honorary membership may be conferred on individuals whom the Council considers worthy of this privilege on the ground of outstanding contributions to the field of interest of the Association. b) Senior membership will be open to Full and Associate members of the Association who have retired from their profession but who wish to continue their membership. c) Full membership of the Association will be open to qualified scientific workers in the field of interest of the Association working in Europe and adjacent countries (defined as the countries bordering Europe and countries bordering the Mediterranean Sea). d) Associate membership will be open to qualified scientific workers in the field of interest of the Association who are not eligible for full membership. e) Congress membership will be open to members who belong to the categories described in items a), b), c) or d) above and qualified scientific workers in the field of interest of the Association. 2. Honorary members have the right to attend , and speak at any Ordinary or Extraordinary General Assembly, and the right to vote if they were formerly Full members. An Honorary member cannot be elected member of the Council. Honorary members will not be required to pay an annual membership fee. Honorary members are appointed by a resolution of the Council upon the proposal of any two other Full, Associate, Honorary or Senior members of the Association. a) receive information about the activities of the Association. b) Congress membership without paying any membership fee. c) receive the official Journal of the Association. have been a member of the Association for 15 or more consecutive years; he/she must have reached 60 years of age and, he/she must have retired from practice. b) Congress membership at a reduced membership fee. d) receive, on specific request, the print copies of the official Journal of the Association at production cost. e) receive free online access to the official Journal of the Association. 4. Full members have the right to attend, speak and vote at any Ordinary or Extraordinary General Assembly. They can be elected members of the Council. Full members will be required to pay an annual membership fee. Candidates for Full membership must be submitted to the Chair of Administrative Offices. The latter will forward the proposal to the Council which, before passing the resolution as to the granting of the membership, may request further information on the proposed new members. 5. Associate members have the right to attend and speak at any Ordinary or Extraordinary General Assembly but may not vote. Associate members cannot be elected as a member of the Council or as a member of the Registry Committee. Associate members will be required to pay an annual membership fee. Candidates for Associate membership must be submitted to the Chair of Administrative Offices. The latter will forward the proposal to the Council which, before passing the resolution as to the granting of the membership, may request further information on the proposed new members. 6. Congress members who are also Full or Associate as well as all Senior members shall pay a reduced Congress membership fee, other Congress members shall pay the full Congress membership fee. a) attend the scientific sessions of the Annual Congress held in the year in which the appropriate membership fee has been paid. b) receive, in the said year and in the following three years, information about the cultural and scientific activities of the Association. c) receive regular information about the forthcoming Congress. d) be eligible for Congress Awards and Grants in recognition of outstanding scientific activity. 7. Every member by the fact of becoming a member, accepts the present Constitution and also agrees to defend at all times the interests of the Association. a) Voluntary resignation which shall be addressed in writing to the Chair of Administrative Offices. b) Failure to pay the annual membership fee (not applicable to Honorary or Senior Members) for two years after this has been requested by the Chair of Administrative Offices. c) By resolution of the Council following intentional and repeated violation of the rules of this Constitution and/or action in the opinion of the Council contrary to the interests or objects of the Association. a) Voluntary resignation which must be addressed in writing to the Chair of Administrative Offices. b) Failure to pay the Congress membership fee for three consecutive years. c) By resolution of the Council following intentional and repeated violation of the rules of this Constitution and/or action which is in the opinion of the Council contrary to the interests or objects of the Association. III. Administration of the Association. e) the Chair of Administrative Offices. 1. The General Assembly is the supreme authority of the Association. The General Assembly can be ordinary or extraordinary. 2. The Ordinary General Assembly will be held at the time and place of the Annual Congress. If one year there is not a Congress the Ordinary General Assembly can be postponed until the next Congress. 3. The Extraordinary General Assembly is a General Assembly summoned in special circumstances. d) the date and venue of the General Assembly. 4. The General Assembly will be presided over by the President of the Association. 5. The General Assembly will vote by simple majority of those members entitled to vote who are present at such General Assembly. 6. Apart from the election of the ordinary council members, as described in clause VI 02, resolutions of the General Assembly shall be passed by a show of hands unless a secret ballot is requested by the Constitution or by twenty or more members who are entitled to vote. In this last case the vote will be by ballot box with each voter providing evidence of his or her identity to the satisfaction of the President before voting. The count of votes will be public and under the direction of at least four members of the Association, who are entitled to vote. of the total number of members entitled to vote. If the number of said members present is less than half, decisions on amendments to the Constitution or dissolution of the Association will be made at the next Ordinary General Assembly, irrespective of the number of members present who are entitled to vote. 8. No amendment may be made to clause I.01, clause I.02, clause V.08, or this clause without the prior consent in writing of the Charity Commissioners. No amendment may be made which would have the effect of making the Association cease to be a charity at law. The Secretary/Treasurer should promptly send to the Charity Commissioners a copy of any amendment made under this clause. 9. In the event of dissolution of the Association any assets remaining after the settlement of any proper debts and liabilities shall be given or transferred to such other charitable institution or institutions having objects similar to the objects of the Association as the members of the Association, who are entitled to vote, may determine or failing that shall be applied for some other charitable purpose. A copy of the statement of accounts, or account and statement, for the final accounting period of the Association must be sent to the Charity Commissioners. 10. An Extraordinary General Assembly can be summoned whenever the Council considers it necessary. The summons will be made in the same form as for the Ordinary General Assembly. An Extraordinary General Assembly must be summoned in the same way if more than one half of the members of the Association , who are entitled to vote, request it in writing to the President of the Association, specifying the purpose of the Extraordinary General Assembly. 11. Unless otherwise provided for under this Constitution, both Ordinary and Extraordinary General Assemblies shall pass their resolutions by a majority of the members present who are entitled to vote. i) power to do all such other lawful things as are necessary for the achievement of the objects. 2. In case of urgency or necessity, the Council can however adopt any such other decision that it considers necessary for the good of the Association with the exceptions of amendments of Constitution and dissolution of the Association. Congress Scientific Committee and approval of the Congress Budget. b) Selection of the papers and demonstrations of the Scientific Programme of the Congress and granting of the awards to the Congress members. c) Admission of new members. d) Fixing the annual membership fee for Full, Associate and Senior members as well as the Congress membership fee on the proposal of the Secretary/Treasurer. e) Such other activities as specified in this Constitution. f) Take the necessary decisions with respect to the Reserve Fund within the framework of clause (IX/06). The said Council memberships cannot be cumulative and therefore there must at all times be thirteen members of the Council. Council members of the Association may not remain on the Council for more than nine consecutive years, except for the application of clause VI- 03 and VII-03. No more than two members of the Council can be of the same nationality. 5. When special circumstances require it, the Council may appoint former Council members, and/or consultants with specific professional knowledge, to carry out special tasks or functions, and delegate to said former members such powers as to allow them to duly carry out said tasks or functions; the said appointment shall specify the terms and duration thereof. The appointment may be revoked by Council resolution. 6. The Council may create, amend or extinguish a "Council Regulation" with a resolution passed by two thirds of its members. The Council regulations govern certain aspects of the Council activity thereby delegating powers within the framework of the Constitution. 7. The Council meetings are called by the President and by the Secretary/Treasurer whenever deemed necessary or upon the request of at least three members of the Council. The Council is deemed to have been validly convened if all of its members have been informed of the place and date of the meeting with at least one week advance notice, a one-day prior notice shall be sufficient in case of urgency. 8. Unless otherwise provided for in this Constitution, there shall be a quorum when at least half of the members of the Council for the time being are present. 9. Except as otherwise specifically provided for in this Constitution, resolutions of the Council shall be validly passed by a majority of the members present who are entitled to vote. In case of a tie in a vote, the President of the Association will have the casting vote. 10. In case of expiration of his/her term the member of the Council will remain in office with full powers until the General Assembly appoints his/her successor. c) is absent without the permission of the Council from all their meetings held within a period of six months and the Council resolve that his or her office be vacated. 11. Members of the Council will also cease their office with immediate effect when they notify to the Council their resignation. 12. In case of removal or resignation of an ex-officio member of the Council, the Council shall promptly designate a substitute member who will hold office until the next General Assembly; alternatively, the Council may decide to delegate the functions of the member who has been moved or has resigned to a current member of the Council, and shall provide for the nomination of the said vacating member at the next General Assembly; according to the rules of this Constitution. 13. No member of the Council shall acquire any interest in property belonging to the Association (otherwise than as trustee for the Association, or except for 10% of the shares of the Subsidiary Company) or receive remuneration or be interested (otherwise than as a member of the Council) in any contract entered into by the Council. 14. The Council shall hold at least one of its meetings in each year in the United Kingdom. 15. The Council shall keep minutes, in books kept for the purpose, of the proceedings at meetings of the Council and any sub- committee. The minutes must be approved by the Council and a copy of the minutes must be kept by the Secretary/Treasurer. 16. The Council may appoint one or more sub-committees consisting of such members of the Council as the Council thinks fit for the purpose of making any inquiry or supervising or performing any function or duty which in the opinion of the Council would be more conveniently undertaken or carried out by a sub-committee: provided that all acts and proceedings of any such sub-committees shall be fully and promptly reported to the Council. 17. The Council may make and from time to time revoke or alter regulations as to the management of the Association and the affairs thereof as to the duties of any officer or servant of the Association and as to any of the matters or things within the power or under the control of the Council provided that such regulations are not contrary to or inconsistent with the objects of the Association or would cause the Association not to be a charity at law. VI. Appointment of the ordinary members of the Council. 1. Ordinary members of the Council will be elected by the General Assembly. Each candidate for ordinary membership of the Council shall be a Full member of the Association and shall be proposed in writing to the Council by two other Full members of the Association, to be communicated to the Secretary/Treasurer at least three months in advance with respect to the relevant General Assembly. 2. The list of the candidates will be sent together with the Agenda of the General Assembly to all Full, Associate, Honorary and Senior members of the Association. The election will be made by secret ballot. All those eligible to vote shall cast their votes either at or before the General Assembly by using the internet voting facility, if any, established for this purpose. Internet voting requires that security measures be taken, as described in the ERA-EDTA Council Regulations, to guarantee a safe and anonymous election process. 3. Ordinary members of the Council will hold office for a period of three years, but no more than three ordinary Council members may change each year. Therefore, if more than three members end their term of office at the same time, the members necessary to satisfy this requirement will remain in office for one more year. The decision as to who will continue will be made by lot or by secret ballot by the Council members. An ordinary member at the expiry of his / her period of office will be ineligible for reelection as an ordinary member of the Council for a period of three years. 4. Should an ordinary member of the Council cease to hold office prior to the end of his/her term of office, a new Ordinary member shall be elected by the next General Assembly. The general provisions relating to the ex-officio members shall also apply to the Ordinary members if not in conflict with the rules of this paragraph. 1. The President, the Secretary/Treasurer, the Chair of Administrative Offices , the Chair of the Registry, the Editor-in-Chief of the official Journal of the Association are ex-officio members of the Council, and will be elected according to the following procedure. 2. The nomination will take place where possible at least one year in advance of the expiration of the term of office of the ex-officio member to be substituted, taken into consideration the eventual extra year contemplated by clause VII-03, preferably in the Council held before the General Assembly of that same year. The new appointment will become effective upon expiration of the demitting ex-officio’s mandate. The ex-officio members may not remain on the Council for more than six consecutive years, except for the application of clause VII-03. During the period between the nomination and entry into office in the General Assembly of the following year the newly appointed ex-officio member may attend and speak in those Council meetings to which he/she has been invited by the President but shall not be entitled to vote. 3. No more than one of the following ex-officio members can end their term at the same time: the Secretary/Treasurer and the Chair of Administrative Offices; unless one of these ex-officio members will remain on the Council as a result of being elected for another of the ex-officio posts. Therefore, if one of these ex-officio members end their term of office at the same time and is not elected for another of the ex-officio posts, the ex-officio member necessary to satisfy this requirement will remain for one more year. The decision as to who will continue will be taken by the Council upon proposal by the President. of Administrative Offices, Chair of the Registry and Editor-in-Chief of the journal of the Association may only be occupied by Full members. All ex-officio members must have been a member of the Association for at least 5 consecutive years. 5. Candidates shall forward to the Secretary/Treasurer their nomination proposal together with a letter of support of two other Full members. The nomination proposal shall specify the office for which the candidate submits his/her nomination and shall be sent to the Secretary/Treasurer at least three months prior to the General Assembly which shall vote their appointment. 6. Out of the candidates that shall have sent their nomination proposal in accordance with the above provisions, the Council shall nominate, by secret ballot, one candidate for each of the relevant offices. 7. The list of the candidates so nominated will be sent, together with the Agenda of the General Assembly, to all Full, Associate, Honorary and Senior members of the Association. The election of the nominated candidates will be made by the General Assembly. 8. Should no Full member present his/her nomination proposal, or should no nomination be made by the Council out of the candidates, or should no election be made by the General Assembly, then the ex-officio member whose mandate is expiring, shall continue in his/her office until the new ex-officio member shall have been appointed; this continuation may not exceed two years from the expiration of his/her mandate. After two years, the Council shall directly nominate the relevant ex-officio member. VIII. President of the Association. 1. The Association is presided over by the President of the Association. 2. The President of the Association is appointed for a period of three years and cannot be re-elected. with the Constitution in force. He/she will carry out such duty by bringing to the attention of the Council any matter that he/she considers to require consideration in order to comply with the aims of the Association and with its Constitution. 4. The President of the Association will preside over the Council and will be responsible together with the Secretary/Treasurer for the book of Minutes of the Council which they will sign. In the case of a tie in a vote by members of the Council the President of the Association will exercise a casting vote. 5. The President of the Association will also be one of the Presidents of the annual Congresses held during his/her term. 6. Between the Council meetings the President of the Association may act on behalf of the Council with regards to urgent matters. , except for the application of clause VII-03. 2. The Secretary/Treasurer will deal with correspondence of the Association with the exception of the correspondence concerning matters pertaining to specific bodies of the Association. 3. The Secretary/Treasurer will prepare the Agenda of the General Assembly and also the Agenda of Council meetings. 4. The Secretary/Treasurer will attend the Council Meetings and General Assemblies and will prepare the Minutes which he / she will present to the next Council Meeting or Ordinary General Assembly respectively. After the Minutes have been approved they will be signed by the Secretary/Treasurer and the President of the Association. It will be the responsibility of the Secretary/Treasurer to keep a true record of the Minutes in a book. 5. The Secretary/Treasurer will have the responsibility to inform Honorary, Full, Associate and Senior members of the Association when vacancies for membership of the Council are pending. 6. Without prejudice to the functions of the Chair of Administrative Offices, the Secretary/Treasurer shall manage the funds of the Association, inclusive of the annual membership fees and Congress membership fees collected by the Chair of Administrative Offices, as well as the Reserve Fund; for this purpose, the Secretary/Treasurer will have authority to effect and receive payments, to invest active cash balances, to deal with banks and other financial institutions. The funds of the Association shall be deposited through banks or other financial intermediaries into accounts registered in the name of the Association. The Secretary/Treasurer (and the Chair of Administrative Offices) shall be entrusted with the exclusive and several powers to place deposits in said accounts. They may however withdraw funds only with their joint signature and the previous written authorization of the President of the Association. The Secretary/Treasurer may effect payments alone within the amounts provided for by general budgets approved by the Council. 7. The Secretary/Treasurer will keep the accounts of the Association and will make payments and transactions on behalf of the Association, and those concerned with the organization of the annual Congress. All the above activities shall be consistent with the general Council policy and with the relevant budgets and expenditure authorization. 8. The Secretary/Treasurer will propose to the Council the annual membership fees and Congress membership fees. 9. The Secretary/Treasurer must present the annual financial statements of the Association, taking into account the Reserve Fund and the Registry, and present them to the Council for approval. 10. The accounts of the Association and the yearly balance sheets of the Subsidiary Company if existing will be audited by an auditor registered in accordance with the Companies Act 1989.
d) the transmission of the statements of account of the Association to the Charity Commissioners, are complied with. 12. The finalized submitted accounts will be sent to the General Assembly for ratification to be done at the next assembly. X. The Chair of Administrative Offices. 1. The Chair of Administrative Offices will be appointed for three years and may be re-elected for a further period not exceeding three years, except for the application of clause VII-03. 2. The Chair of Administrative Offices will collect the annual membership fees and Congress membership fees and will take care of the relations with members of the Association. He or she will also keep an updated directory of all the Full, Honorary, Associate and Senior members of the Association, as well as the Congress members. 3. The Chair of Administrative Offices will, in line with the Council policies, take care of the plan and the organization of the annual Congresses, including the choice, the recruiting and the proposal to the Council of the Congress organizers. He or she shall have the power to represent the Association in any agreements with third parties only jointly with another officer. The Chair of Administrative Offices will manage, in particular, the Congress membership fees and the industrial relations. 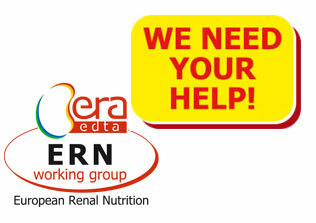 He or she will be in charge of updating the "Specifications for Organizing the European Renal Association – European Dialysis and Transplant Association's Congresses". 4. The Chair of Administrative Offices shall be responsible for and supervise the conduct of said activities and shall sit on the Board of the Subsidiary Company. 1. The property of the Association shall be applied only in furthering the objects of the Association. 2. The property of the Association may be held in the name(s) of or under the control of any corporation or not less than three individuals as nominee(s) of the Association to be dealt with by it or them as the Council may by resolution from time to time direct. The Council may pay reasonable remuneration to any such corporation. 3. Any nominee may at any time be removed from office by resolution of the Council and the Council may by resolution appoint new nominees. No individual other than a Full member of the Association may be a nominee. 4. The Council may employ an investment manager to manage the investments of the Association and pay the manager reasonable remuneration. 1. A "Reserve Fund" is established. 2. The purpose of the Reserve Fund is to provide the Association with sufficient economic means to deal with any extraordinary expenses or unforeseen adverse events that would threaten the financial viability of the Association or impair the efficient conduct of its duties and functions. 3. Initially, the "Reserve Fund" shall not exceed the amount corresponding to 6 million EURO (the "Reserve Fund Maximum Amount"). The Ordinary General Assembly, upon a proposal by the Council, by simple resolution may increase or diminish the Reserve Fund Maximum Amount, to satisfy the needs for which the Reserve Fund is established. 4. The Reserve Fund shall be managed by the Secretary/Treasurer, within the guidelines set by the Council. However, at least 80% of the Reserve Fund assets shall be invested in bonds issued by top rated issuers. 5. Other than in case of extraordinary expenses or unforeseen adverse events, any income or gains derived from the Reserve Fund may be utilized solely for the purposes of replenishing the Reserve Fund up to the Reserve Fund Maximum Amount. Any other income or gains should increase the Education and Research Fund (clause XIII). 6. The use of the Reserve Fund for extraordinary expenses or unforeseen adverse events shall be determined by the Council following a resolution passed at a meeting by a majority of at least two thirds of all its members present; replenishing the Reserve Fund as per item (05) above shall be part of the current management of the Reserve Fund entrusted to the Secretary/Treasurer. XIII. Education and Research Funds. 1. An “Education Fund” and a “Research Fund” are established. 2. The purpose of the Education Fund is to finance courses, seminars, congresses and publications for the continuing education of physicians, surgeons, nurses and other professionals in furtherance of the objects of the Association. 3. The purpose of the Research Fund is to finance grants, studies and research projects in furtherance of the objects of the Association. 4. The amounts of money to be assigned from year to year to the Education Fund and to the Research Fund will be proposed by the Secretary/Treasurer and decided upon by the Council. 5. The Education Fund and Research Fund are to be held, as to both income and capital, in accordance with the provisions of clause XI-02 and clause XI-04 shall also apply to the Education Fund and the Research Fund. 06 The Education and Research Fund shall be managed by the Secretary-Treasurer according to the provision of clause XII-04. 1. The Council may resolve to set up a Subsidiary Company with limited liability, in any appropriate jurisdiction, in order to carry out any activity permitted within the objects of the Association. Said activities would include, for instance, the organization of the annual Congress (as well as other congresses or seminars and the like), the management of the industrial relations, the collection of the annual membership fee, the collection of the Congress membership fees, the editing, publishing and diffusion of reviews, newsletters and other scientific papers or documents (including audio/video and electronic materials). 2. The Subsidiary Company may also provide the Association with an office where the above mentioned activities can be carried out and where the books and papers of the Association can be kept in custody. 3. The Subsidiary Company shall be a fully owned subsidiary of the Association or, in case this were not permitted in the relevant legislation for the preservation of the limited liability, it shall hold at no time less than 90% of its capital, the remaining 10% being held by a different entity, person or nominee, to be decided by the Council. The Council shall vote, or procure the voting of, the shares of the Subsidiary Company in the best interest of the Association. 4. The Council shall supervise and control the activity of the Subsidiary Company. 5. 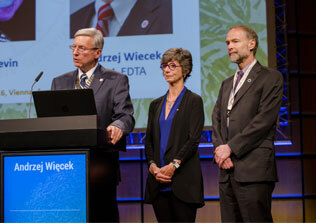 The Board of Directors of the Subsidiary Company shall be composed of the President, the Secretary-Treasurer, the Chair of Administrative Offices and a Full ERA- EDTA member appointed each year by the Council. Except as otherwise resolved by the Council, the Chair of Administrative Offices shall be the Chair and Secretary of the Board of Directors. Except as otherwise resolved by the Council the Board of Directors of the Subsidiary Company may delegate powers to the President, the Secretary-Treasurer and the Chair of the Administrative Offices. 6 A meeting of the Board of Directors will be held, at least once a year, in the office of the Subsidiary Company. Minutes of the meeting will be kept by the Chair of Administrative Offices and approved by the Council. XV. Annual report and annual return. 1. The Council shall comply with its obligations under the Charities Act 1993 (or any other statutory re-enactment or modification of that Act) with regard to the preparation of an annual report and its transmission to the Charity Commissioners. XVI. Official Journal of the Association. 1. 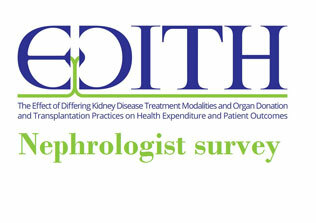 The title of the official Journal of the Association is presently "Nephrology, Dialysis, Transplantation". The title may be changed by a resolution of the Council. The Journal shall be regularly sent to Full and Associate members who have paid their annual membership fee as well as to Honorary members. Upon specific request, and after payment of the annual membership fee, also to Senior members. 2. The Editor-in-Chief of the official Journal of the Association is appointed for a period of three years and may be re-elected for a period not exceeding three years. 3. The Editor-in-Chief shall, after consultation with Council, be responsible for forming the Editorial Board whose names shall be published in the official Journal of the Association. The Editor-in- Chief may delegate, as required, the task of formulating any particular part of the journal to a member of the Editorial Board. 4. The Editor-in-Chief in consultation with the Council can nominate a deputy Editor, in case the Editor in chief is prevented to carry his/her duties. The duration of his/her office cannot exceed the term of office of the Editor-in-Chief. 5. The Editor-in-Chief of the official Journal of the Association will be responsible to the Council for all matters concerning publication of the Journal and supplements and will be responsible for obtaining and editing all material to be published and for maintaining the good quality of the Journal. 6. The Editor-in-Chief will be responsible to the Council for negotiating and obtaining the Journal publishing agreement which shall be signed by the President of the Association, the Secretary/Treasurer and the Editor-in-Chief. A copy of the contract will be kept by the Secretary/Treasurer. 7. 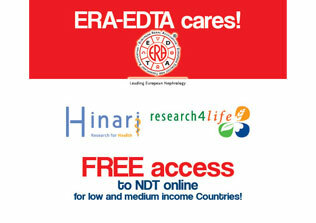 In addition to its official Journal the ERA-EDTA may undertake other initiatives for the collection and circulation of educational materials by means of publications, websites or other. 1. The Association has instituted a Registry. The function of the Registry will be to carry out studies dealing with the epidemiology and demography of renal failure and other aspects of renal disease. 2. The Council may decide that the work of the Registry should be carried out on its behalf by a qualified third party under the terms of a contract which will be agreed between the Council and the third party. The contract must be signed by the President, the Secretary/Treasurer and the Chair of the Registry on behalf of the Council. A copy of the contract will be kept by the Secretary/Treasurer. 3. The Association will be responsible for the cost of the Registry and this cost will be determined by the setting of a budget which will be agreed in advance by the Council and any third party which is carrying out the work of the Registry. 4. The Council may decide to move the place of activity of the Registry within Europe and adjacent countries (defined as the countries bordering Europe and countries bordering the Mediterranean Sea) subject to the terms of any contract which has been agreed as outlined in paragraph 02. Nephrology and nominated by the Council. The term of office of the nominated members will be three years. They can be re-nominated by the Council for a second three year period but not beyond that time. The President of the Association will be an ex officio member of the Committee and will have a casting vote. All members of the Registry Committee should also be Full members of the Association: only under exceptional circumstances can Registry Committee members not also be Full members of the Association. In case the proposals are not sufficient to reach the necessary number of Committee members, the Council can propose and nominate the missing members. 6. The Chair of the Registry will be appointed by the Council under the procedure set out in clause VII of this constitution. The Chair will serve for a three year period, renewable for a further period not exceeding three years. 7. The Chair of the Registry may invite non-members to attend meetings of the Registry Committee if it is thought that their knowledge or skills would be of use. Minutes of these meetings must be kept by the Chair of the Registry and a copy will be sent to the Secretary/Treasurer. 8. The research work carried out by the Registry will be reported to the members of the Association at the annual Congress, in the Association's journal or elsewhere with the approval of the Registry Committee and the approval of the Council. 1. The Association will meet, normally annually, with the object of exchanging the results of the scientific work of its members. 2. Presidents of the Congress will be the President of the Association and the local President, nominated by the Council after consultation with the National Society of Nephrology of the Country where the Congress is being held. 3. The place and the dates of the annual Congress will be decided by the Council and announced to the Ordinary General Assembly normally with at least two years advance notice. 4. The Council will appoint the Chair of the Scientific Committee. The Council will also appoint a Scientific Committee consisting of no less than 15 and no more than 20 members, to be chosen from Full, Associate, Senior and Honorary Members of the Association; exceptions can be made to this rule only for non nephrologists. The Presidents of the Congress, according to clause XVIII-02, will be part of the Scientific Committee. 5. The Scientific Committee will be in charge of the scientific programme of the Congress, to be approved by the Council. 6. The organization of the Congress will be carried out by the Subsidiary Company of the Association, under the supervision of the Chair of Administrative Offices. XIX. Final and General Rules. 1. This Constitution supersedes to all effect prior texts of the Association's Constitutions or Charters previously in force. 2. This Constitution was adopted on the date mentioned above by the persons whose signatures appear at the bottom of this document. 1. This Constitution shall be governed by and construed in accordance with English law. 2. The Courts of England are to have jurisdiction to settle any disputes which may arise out of or in connection with this Constitution and accordingly any legal action or proceedings arising out of or in connection with this Constitution may be brought in such courts.